JFH News: TobyMac Kicks Off New Year with New Single "Beyond Me"
TobyMac Kicks Off New Year with New Single "Beyond Me"
remix versions of "Beyond Me"
Nashville, Tenn. (January 7, 2015) - Five-time GRAMMY® winner TobyMac is giving his fans a treat for the start of the New Year - a new studio single and two new remixes. 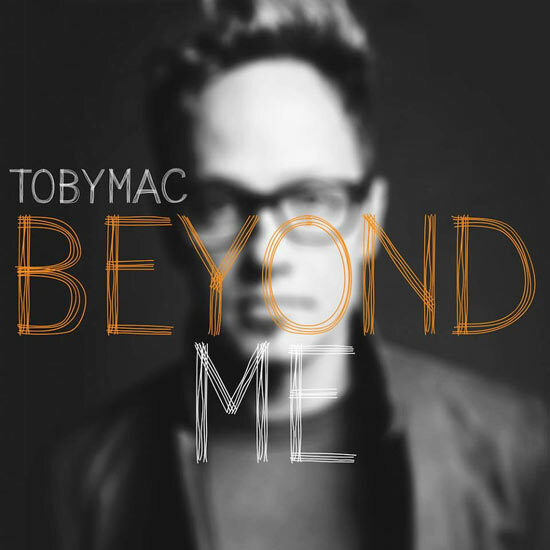 Available now, TobyMac's "Beyond Me" is the first new single from his forthcoming studio album. In addition to "Beyond Me," TobyMac also released two new remixed versions of the single - Phenomenon Remix by Soul Glow Activatur and Moodswing Remix. The tracks are available now at all download and streaming music services. The track is the first new single since the release of TobyMac's history-making studio album EYE ON IT, which nabbed the GRAMMY® Award for Best Contemporary Christian Music Album and debuted at No. 1 on the Billboard 200, only the third Christian album to accomplish this feat at the time of its release. Just last fall, TobyMac released a collection of remixes from EYE ON IT, titled EYE'M ALL MIXED UP (REMIXES). Along with preparing for his new album, TobyMac is gearing up to head out on tour this March along with GRAMMY® winner Mandisa and electric pop duo, Capital Kings. TobyMac will perform songs from his hit album EYE ON IT, and fans may even get to hear a few new tracks from the upcoming album. For dates and ticket information, visit tobymac.com/tour. About TobyMac: With more than 11 million units in career sales, TobyMac's career continues on the fast track. His most recent studio album, EYE ON IT, garnered him the GRAMMY® Award for Best Contemporary Christian Music Album and the highest chart debut of his solo career landing at No. 1 on the Billboard 200 and topping the iTunes® Overall and Christian sales charts. The project made TobyMac only the third artist ever to debut atop the Billboard 200 with a Christian music album. His previous four solo projects have received RIAA Gold Certifications and his live DVD, Alive & Transported, is RIAA Certified platinum and received a GRAMMY® award. In less than 15 months between 2012-2013, TobyMac received two GRAMMY® awards, two Billboard Music Awards for Top Christian Artist and Top Christian Album, his first American Music Award for Favorite Artist in the Contemporary/Inspirational category, Dove Awards for "Artist of the Year," "Pop/Contemporary Album of the Year," "Recorded Music Packaging of the Year," "Short Form Video of the Year," a K-LOVE Music Award for "Artist of the Year" and swept the 2013 Australian Music Award. At the 2014 K-LOVE Fan Awards, he won the award for "Best Live Show." His latest remix project EYE'M ALL MIXED UP (REMIXES) is available now.